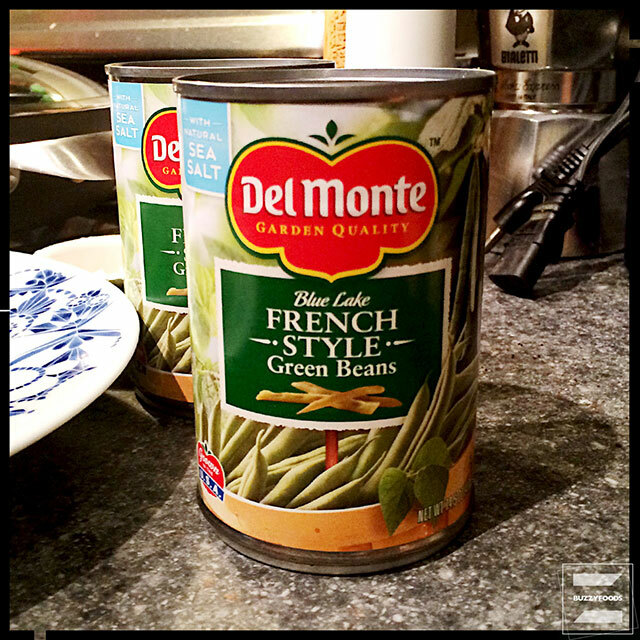 ‘Tis the season to plan for feasting, and for many folk, feasting means green bean casserole – you know, that mixture of canned beans and canned soup and canned onions. That’s a whole lotta cans. Which is why, when I came across “Grandma’s Green Bean Casserole” on allrecipes.com, I was interested. Sure, it starts with canned beans, but everything else is pretty much fresh… well, if you consider crackers to be fresh. I did change a few things for my version. Grandma didn’t have any ‘shrooms in her version, which I thought a bit off; and I added some additional seasoning here and there where I thought I ought. The end result? Rich has decided that these will be served at our feast day table, where I am certain they will be as welcome with roast trukey as they were with baked potato and buttermilk meatloaf on my test run. 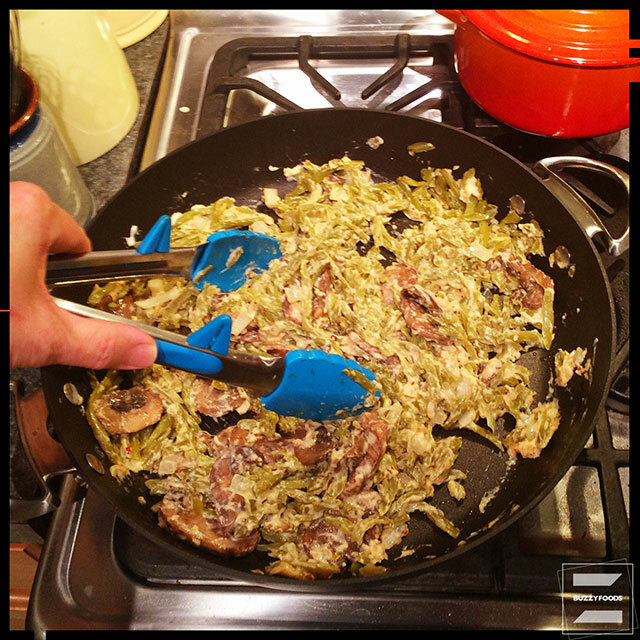 Melt one tablespoon of butter with the olive oil in a large skillet over medium heat, then add the ‘shrooms and Worcestershire sauce (if using). 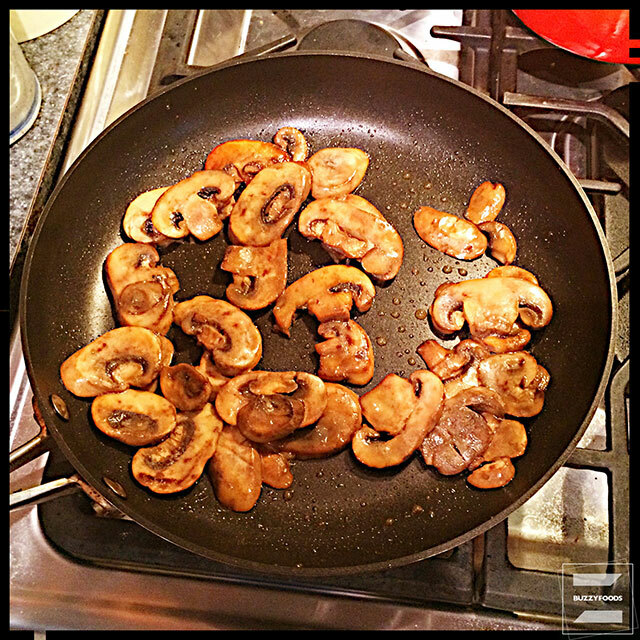 Sauté until the ‘shrooms are nicely cooked, a bit brown at the edges, and any cooking liquid is gone. Set aside to cool. Drain the beans well and combine with the cooled ‘shrooms. Melt one tablespoon of butter and combine with the crushed Ritz crackers. Set aside. 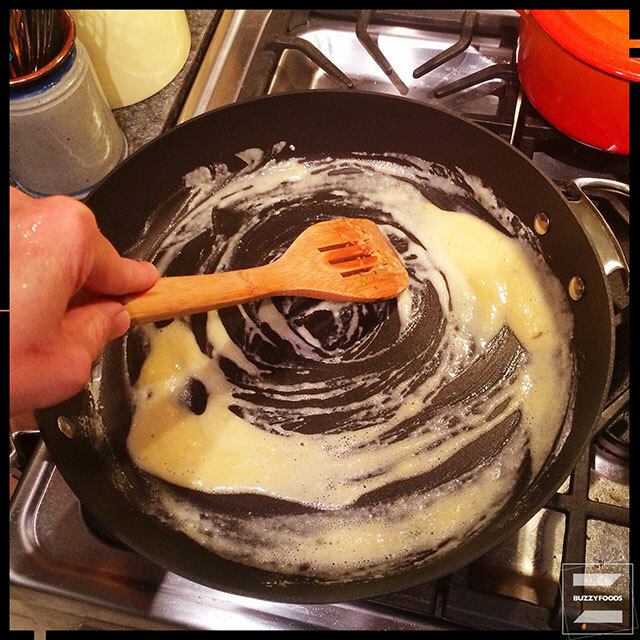 Melt the remaining two tablespoons of butter in that large skillet over medium heat, then stir in the flour and cook for a minute or so, until the roux is a rich, gold color. Add the onion, salt, sugar, and Aleppo pepper, then adjust the heat to low and stir in the sour cream until everything is well blended. Add the green beans and ‘shrooms, tossing to mix well, then transfer to a 12 inch gratin pan. 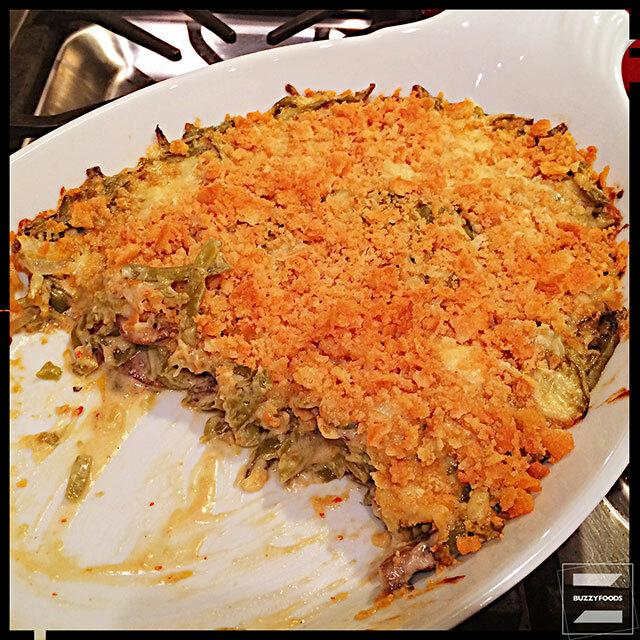 Top the green bean mixture with the grated cheese and then with the buttered crushed crackers. Bake at 375º for twenty minutes, or until the top is golden brown and the cheese is bubbly. you’re gonna want you some of this. 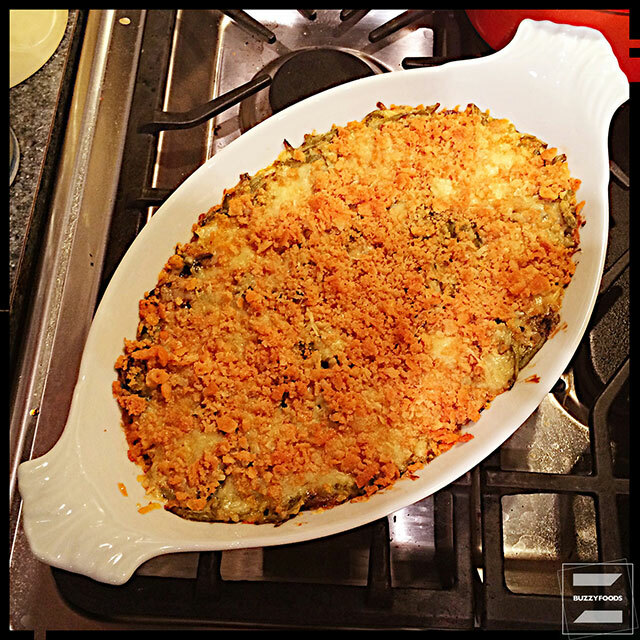 This entry was posted in Uncategorized and tagged 'Shrooms, beans, butter, French Style Green Beans, Green Bean Casserole, green beans, mushrooms, onion, Thanksgiving. Bookmark the permalink.